SIRMAN 3.3L Bowl Cutter with Variable Speed C4 V.V. SIRMAN 5.3L Bowl Cutter with Variable Speed C6 V.V. 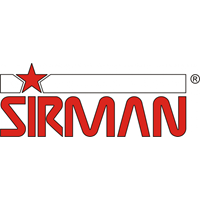 SIRMAN 9.4 L Bowl Cutter with Variable Speed C9 V.V.